I had been looking at this rocker for weeks. It was part of the furniture that was moved into Nana’s House Thrift Store #2 for the grand opening back at the first part of April. I sat in it several times and always walked away. It was priced at $95 and I just couldn’t spend that much and then have to paint and recover it. Tuesday I was at the thrift store #1 and was told that they were going to have a 1/2 price sale for the month of May at #2. 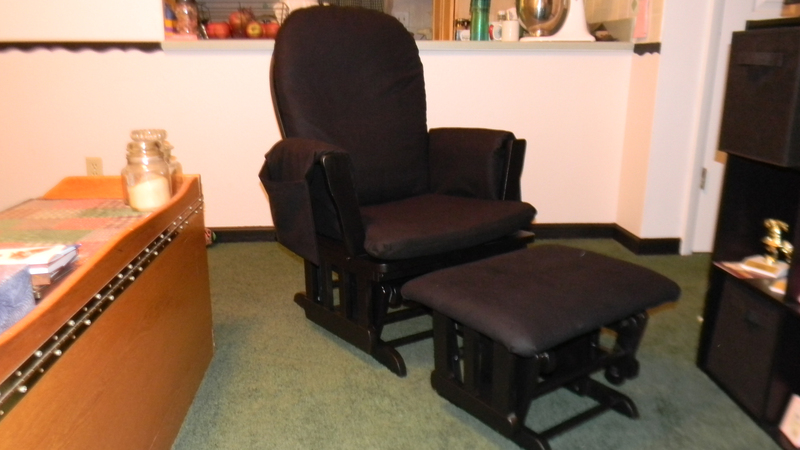 I promptly headed to the other thrift cottage and purchased the chair. On the way home I stopped by Wal-mart and purchased a can of spray paint (I had to use 2) and found some black fabric for……ready…….$1 a yard!!!! Yes $1 a yard and it was 54″ wide. I was so excited I couldn’t wait to start even though it had begun to rain. 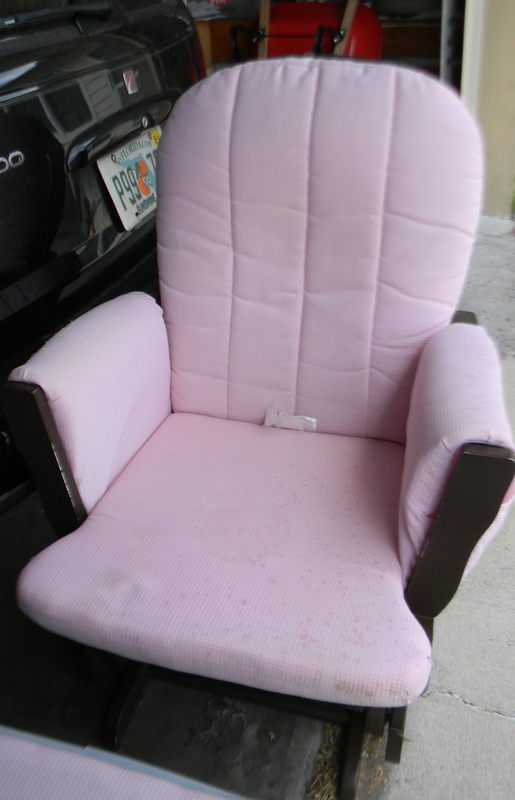 I was able to take apart the cushions and use the old fabric for a pattern. The arm pieces had snaps on them but I decided not to purchase snaps and make it one long piece that goes under the seat cushion. 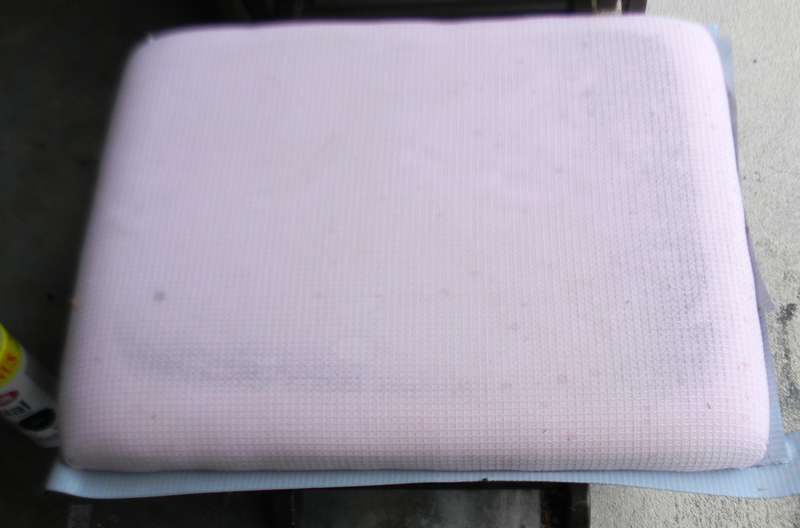 For the foot stool I just flipped it over on top of the fabric and stapled it down. I finished this project today and like the way it turned out. I think I am actually liking this make over bug I have. I am not sure that black was a good choice for fabric with my dog but will see how it works. It only cost me $5 for the fabric and it can always be recovered again down the road. What is your favorite furniture make over? 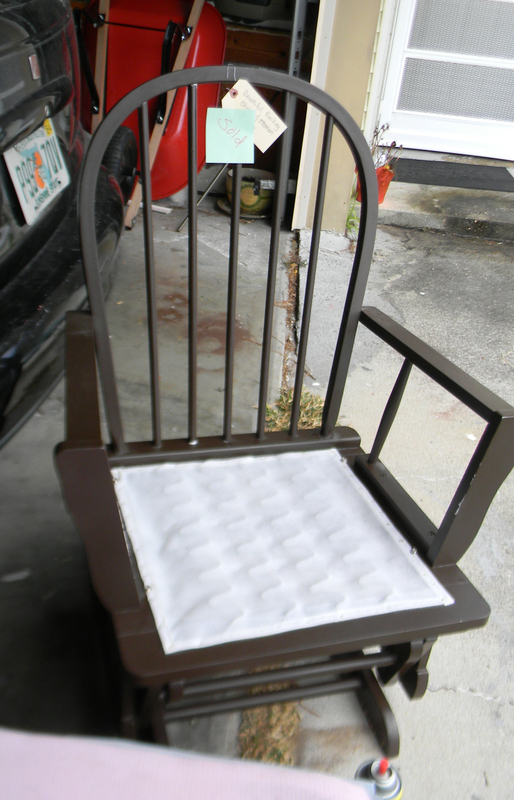 This entry was posted in Furniture, Posts and tagged Furniture remake, Refinishing furniture, Rocker re-do. Bookmark the permalink. I’m in the middle of a glider makeover, too. Got the fabric done but still deciding on a color. Yours looks so nice! Much better to redo than buy new!